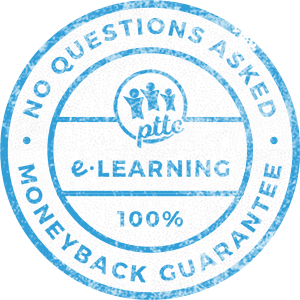 Our On-line Basic Fire Safety Awareness course from PTTC E Learning is essential to provide you or your team with a general understanding of basic fire awareness including what should be done in the event of a fire. All of our course are designed & written by industry qualified & competent professionals. This course also meets all current Basic Fire Safety Training legal requirements and best practices. So you can rest assured that once you have passed the course you will be legally compliant. Taking a day off work can cost a small fortune, then there’s the course costs, & the travel. With our Basic Fire Safety course you can take it all most any where there’s an internet connection. At home, at work or on the train, from Mobile, PC or Tablet the choice is yours. We all know that time is one of the most precious things we have, & it’s something we can’t get back. With our Basic Fire Safety Awareness course there’s no need to spend hours travelling to a class or in a classroom. You can learn when you want, or when you can. With all of our courses there is no need to wait an age to find out if you’ve passed & get your Certificate. With our Basic Fire Safety training course you can download your certificate to your, computer, mobile or tablet as soon as you’ve successfully completed the course! It’s pointless buying a course & spending time learning, when it won’t fit your purpose. So our Basic Fire Safety Awareness Course is 100% fit for purpose and accredited by major players in the industry sectors, so you can rest assured you won’t be wasting time or money with us! This Basic Fire Safety Awareness Training Course is accredited by the The Institute of Fire Engineers (iFE) & ROSPA (The Royal Society for the Prevention of Accidents) and they have been around helping to keep us safe for over 100 years. Who Is This Basic Fire Safety Awareness Training Course For? 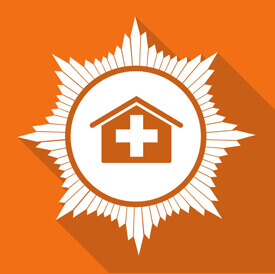 Our Basic Fire Safety Awareness Training Course meets all current legislation in relation to Basic Fire Awareness Training, so with our online training you can rest assured that those that take the course will not only be technically competent but also ready to deal with most basic fire related situations. Fire is something that does happen in places of work, and although we may not hear about it that often within 2013/2014 in the United Kingdom 17 people sadly died as a result of fires which started in building other than dwellings. In the same period there were 22,200 fires reported in non dwelling buildings, and 75% of these fires during this period were caused accidentally. 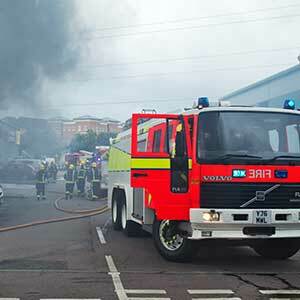 The stats also identified that there were 3,000 fires in retail premises, 2,200 were in wine bars, cafes, restaurants, pubs and takeaway outlets. So it is very easily identified that the need for training is present, however it inst just necessity that requires that employers ensure that this Basic Fire Awareness Training is carried out, legislation such as The Regulatory Reform (Fire Safety) Order 2005, applies to all workplaces regardless of the number of employees and requires employers to provide adequate training in fire awareness for all members of their staff. 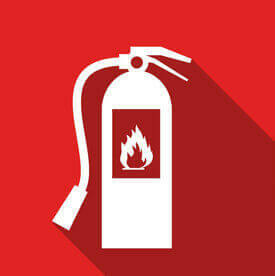 Why Do You Need Basic Fire Safety Awareness Training Course? As mentioned above fire legislation called the Regulatory Reform (Fire Safety) Order 2005, that came in to force in October 2006, made it a legal requirement that all employees are required to take adequate fire safety training, regardless of the industry they work in. So any person who has some level of control in premises must take reasonable steps to reduce the risk from fire and make sure people can safely escape if there is a fire. Don’t leave this requirement of training to chance, when you and your employees can be trained from £12.99 per person, and they don’t even have to leave work to take the training. Contact us today, and start training in minutes. Our Fully Accredited and Industry Approved On-line Basic Fire Safety Awareness Training Course is aimed at anyone that may come into contact with Fire within the within their day to day duties at work. This module with teach you what components come together to make fire . In this section you with identify what are the most common causes of fire in the workplace, and how to avoid them. 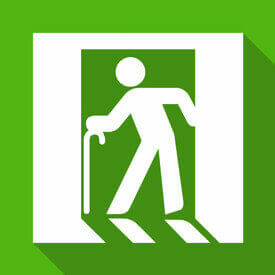 Within the section you will find out what Basic Safety Features are within buildings. Fire Extinguishers arent just there to look pretty and hold the do open, they are vital pieces of safety equipment that can help save lives. This section will help you to identify which extinguishers is which and what fire they should be used on. What is your role in a fire situation, well this module with help you to identify what to do if you are ever confronted in a fire situation. This Our Online Basic Fire Safety Awareness Training Course complies with the training requirements for Basic Fire Awareness. It also complies with the Current legislation, Including The Regulatory Reform (Fire Safety) Order 2005, Health & Safety at Work Act 1974, Management of Health and Safety at Work Regulations 1999, Fire Safety Regulations (Northern Ireland) 2010 and The Fire Safety (Scotland) Regulations 2006. 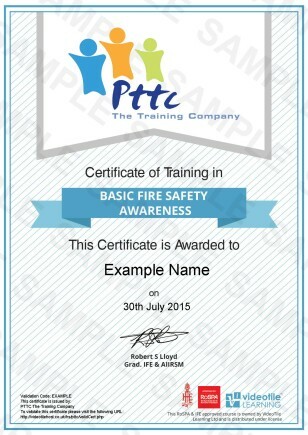 By learning on line with us at PTTC The Training Company, the main outcome of this training course is to provide you or your team members with a recognised qualification, and the knowledge and awareness of Basic Fire Awareness and knowing the necessary safety measures and precautions to take. 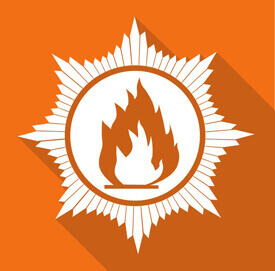 Once you or your team members have successfully completed the Online Basic Fire Awareness Course in around 1.5 you can simply download their official certificate. If you are not sure if our E Learning Basic Fire Safety Awareness Training Course is the right course for you, or if you’re a bit dubious as to the quality of our training course will be what you’re expecting why not try one module of the course of your choice inc the assessment FOR FREE . This will give you a free chance to experience hands on our on-line learning environment. 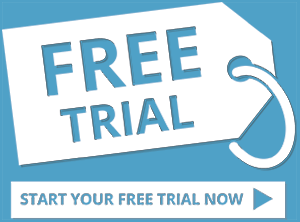 To get a Free Trial Just click on the ‘Free Trial Logo & follow the video instructions to access the online learning area. Once you have trialled the module you will then be given the option to purchase & continue with your course! If you are looking to buy this Basic Fire Safety Awareness Training Course for more than one person, or perhaps you need more than one course for you or your team, we offer a number of great price breaks. Please feel free to call us if you would like to discuss quantities of over 11 courses. If you have over 50 candidates, with similar or varied needs give us a call on 020 3011 3090 and we will provide you with an even better quotation. If you have training needs of other courses say Manual Handling, COSHH, and Food Safety for multiple candidates and multiple courses we can provide you with bulk prices if you give our booking team a call. Our On-Line Basic Fire Safety Awareness Training Course has 60 minutes of video to watch, and 28 questions to answer. We estimate that the course should take you no more than 1.5 hours to complete. If you want to do it over a number of days then that’s fine, the system will remember where you left off and you can go back to it at exactly that point. The simple answer to this is yes, our Basic Fire Safety Awareness Training Course is, the course is Certified and accredited by ROSPA (Royal Society for the Prevention of Accidents) and The Institute of Fire Engineers (iFE)so you can rest assured that this course will meet your needs if you are looking for a competent introduction to the Basic Fire Safety Awareness Training Course. There no problem with that, with our system you get 3 chances as standard to take and successfully pass the Basic Fire Safety Awareness Training Course. If you are still unsuccessful at that stage, then just drop us a line and we will provide you with 3 further attempts free of charge. This type of training gives lifelong knowledge & skill, however there a legal requirement to take refresh the Basic Fire Safety Awareness Training Course. It is recommended that this training is refreshed at least every 12 months, however like any skill or knowledge we learn memories fade over time especially if we don’t use those skills. So, you can always come back again if you wanted to and refresh your skills and update your knowledge by purchasing and completing the course again. That’s easy as well. You can pay for your Basic Fire Safety Awareness Training Course online with your credit card, debit card, or PayPal. However sadly we no longer accept cheques, sheep, horses, or gold.